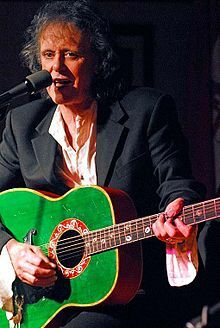 Donovan Philips Leitch (born 10 May 1946), most commonly referred to simply as Donovan, is a Scottish singer, songwriter, and guitarist. Emerging from the British folk scene, he developed an eclectic and distinctive style that blended folk, jazz, pop, psychedelia and world music. Interview in the first issue Rolling Stone magazine (9 November 1967); also in Pop Chronicles, Show 48 - The British are Coming! The British are Coming! : With an emphasis on Donovan, the Bee Gees and the Who. The magic that you hear in tales and things was all based around the Celtic mythology of England, which is Tolkien, The Lord of the Rings. I just drain from that source. I just drain everything. So the magic is there. 'Cause I made my mind up you're going to be mine. Wear my love like heaven. And once again the truth is found. The most important of my achievements, if you want to call them that, was that I successfully introduced mystical ideas into pop culture, which was my obsession and my compulsion when I was 16 years old. So, behind all of this fame and fortune, there was a seeker, on a spiritual path — a young man who wanted to discover and share with others an alternative way of looking at the world. I wanted to save our culture from the stupidity and the bigotry and the ignorance that threatened it. And there was the Buddhist way, and the Celtic way. I found myself at the top of the the ladder, with everything, but with one thing missing: that one thing was a companion. Because, it's cliché to say, but nothing really means anything in the end unless you're really doing what you want to do, and... I walked off a huge world tour, with a yacht and television specials, and record deals, and film deals. I walked away and my whole thing collapsed. I shocked my business world and walked back to my cottage, which I had been renting to two American girls. One of them was Cynthia, and I stayed with her for two days, then her friend Lori came back from Clapton's house, where there had been a party going on for almost a week. Lori came in with another friend, and it was Linda, my Sunshine Supergirl from 1965 whom I'd written all my songs for. We hadn't married then, because she had a child with Brian Jones and wasn't ready for another relationship. And it was good that we didn't marry back then, because my four years of '60's fame would have wrecked the marriage. But we met again, and I went away from fame and into the arms of my muse, my lover, and then my wife, and then the mother of my children. Up to '67, the drugs were, uh, soft. Marijuana, and even LSD, I considered soft drugs then. But, then, after '67, needle drugs and the strong amphetamines came in, and that's when the Beatles and Donovan stood up and said, 'Try meditation instead.' And I still stick by that, of course. You've got to be very, very careful. I'm talking about naive days, before the drug barons and the dealers took over. It was once a small, bohemian event. But it was when millions started wanting to get high that it got bad. And when Haight-Asbury turned into Skid Row, the Beatles and me stood up and said, 'Give it a rest.' The answer is that each individual must face the problem by himself. And meditation is an alternative. Meditation is a lot better for you, and it's great to be straight. Today I can’t comment on what the problem is in China, Russia, or Africa without realizing again and again the Diamond Sutra, which says that we look at the world and see it as separate but in fact, this is an illusion, but the reality is that we are one shining being. Until this can be understood, I can’t see any change. But I see some change now. There is a world consciousness. In the "old" New Age, they talked about the Age of Aquarius being an age of enlightenment. 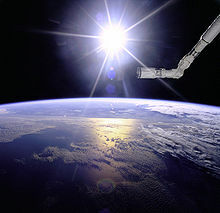 And now when a man goes to the moon he sees the earth. Before when someone did meditation he or she could meditate on the earth and the moon but now a man and a woman can see that we are on one planet and that the water is polluted and that the air is dirty. So these are changes that are important. But when we spoke about these things in the 60s people said we were dreamers. This page was last edited on 31 March 2019, at 20:32.